Since I've recently been on a splurge and bought quite a bit I decided to do 'Hey, Big Spender' #2 - an update from the original post which you can find here. There's a strong possibility I may be doing a third post. You can see my 'Hey, Big Spender! series here and here. 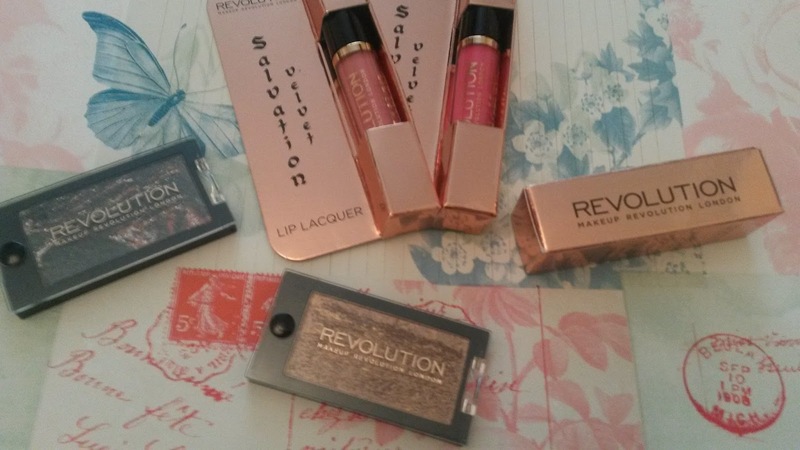 My Makeup Revolution order ended up being somewhat of a nightmare - I ordered from Superdrug. 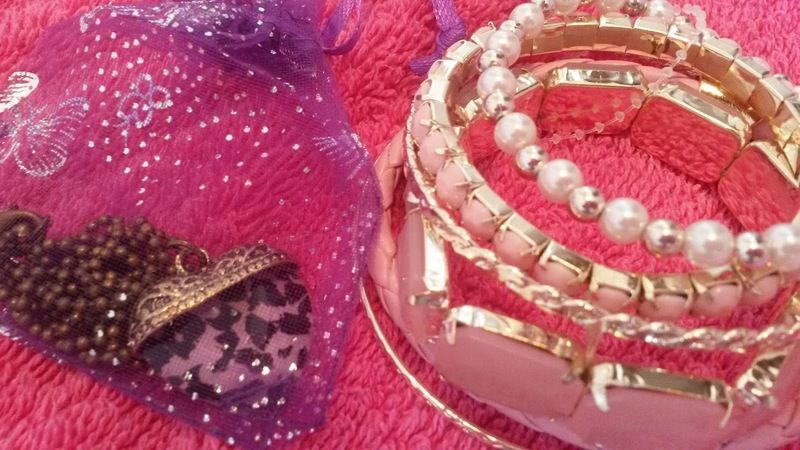 I got my hands on a few bits and pieces from my wishlist. I got: Velvet Lacquer in Keep Crying For You & What I Believe. #Happylips Love A Hug. Baked Merged Eyeshadow in Limitless & Moondust. I'll do swatches in my review posts - Coming soon. I picked up Fangirl by Rainbow Rowell after seeing it in the clearance section at Asda for just £1.50. I believe it to be a teen/young adult novel but seen as I'm a lover of fantasy and they're usually always put in the children section, despite being widely read by adults I don't see this being a problem. I'm looking forward to giving this a read and of course reviewing it - though, this may take some time since I'm currently reading two books at the same time, have two on my kindle and six on my bed side table including this one to read. I've been after a casual spring/summer scarf for sometime and finally picked up my first one. 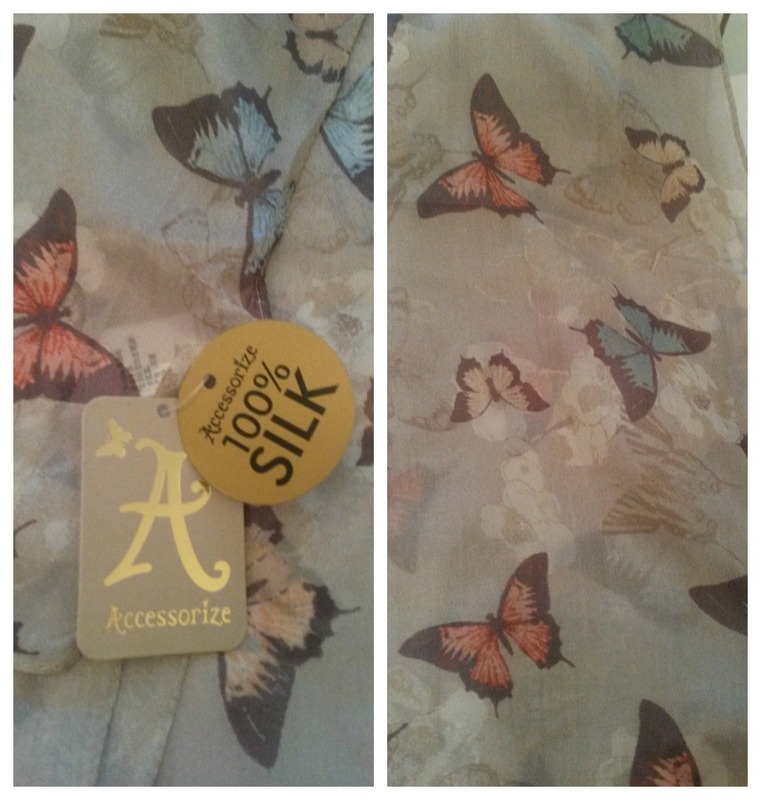 This scarf is 100% silk and was only £9.00 in the sale at Accessorize. I love it, the patten and the colour is very versatile. I discovered Cherry Diva on Twitter a number of weeks ago and vowed to buy something from their online store - and finally did. I love jewellery and come this time of year there's so many beautiful pieces and I instantly fell in love with these pastel coloured bracelets. The necklace was an unnecessary buy due to it being a sale piece but pretty non-the-less. I will do a separate post soon. Reviews coming soon!